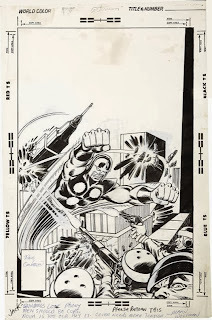 Al Bigley has an interesting look at the development of the cover to Nova #7. 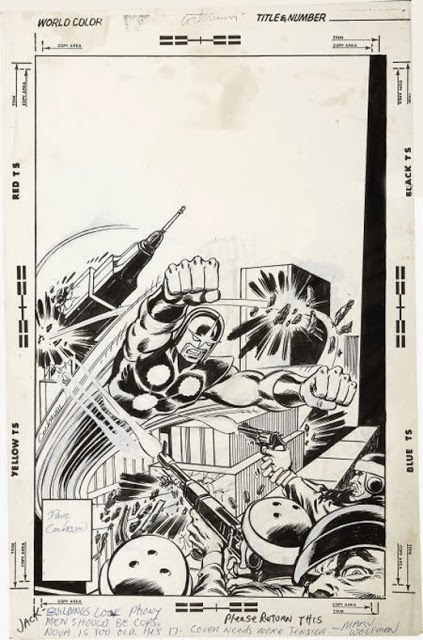 The changes from Cockrum to Kirby are note-worthy, but there's also a lot that Sinnott added when he inked over Kirby's original. Syed Tashfin Chowdhury provides an overview of the growing popularity of comics and the convention scene in Bangladesh. Ryerson University has a nice piece on Barbara Postema and her research into wordless comics. On -isms: DC & Marvel Are "Evading Truths"
On Webcomics: What Makes It a Webcomic? Kleefeld on Comics: A New Era!